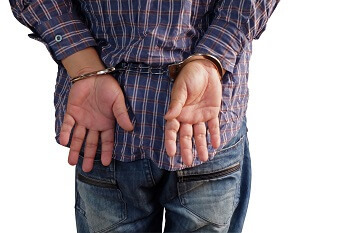 Many people do not realize the seriousness of being charged with a misdemeanor. However, if you were charged with a crime that is a misdemeanor, you should not take your charges lightly. You do not want to just plead guilty and take whatever plea is offered by the prosecutor. A misdemeanor is a criminal charge, and a conviction can literally affect your life forever. Crimes are divided into two broad categories: misdemeanors and felonies. Whether a crime will be considered a misdemeanor or a felony will depend on its potential maximum sentence. A misdemeanor is a crime less serious than a felony and punishable by a fine and up to one year in jail. Prison time would be served in the county jail rather than a state prison when a person is convicted of a felony. Misdemeanors are more serious than infractions, which generally do not result in any jail time. In Virginia, misdemeanors are divided into four classes, with Class 1 misdemeanors being the most serious. Some crimes can be classified as either a felony or misdemeanor, depending on the facts of the crime, the value of the property taken, the victim’s status, and the number of prior offenses the person has been charged with. In addition to these four classes of charges, there is also an unclassified—or Class U—misdemeanor, that is used in rare cases. Having your charges reduced to a less serious classification can have a huge impact on the severity of the possible penalties you face and how it affects your life. What Are Class 1 Misdemeanors? Reckless driving. A person can be charged with reckless driving if he is driving 20 miles per hour over the maximum speed level or in excess of 80 miles per hour no matter what the posted speed limit is. DUI. If a person’s blood alcohol content is 0.08 percent or greater, he can be charged with driving under the influence of alcohol (DUI). Driving while intoxicated (DWI) is also a Class 1 misdemeanor offense and can involve being intoxicated on drugs. Petit larceny. This is the stealing of property, goods, and money and includes shoplifting. If the value of what is stolen is over $200, a person could be charged with a felony. Assault and battery. Assault is the intent to engage in a harmful or offensive contact even if the suspect had no criminal contact with the victim. Battery is actually causing physical, harmful contact. Domestic assault. Domestic violence involves committing an act against a family or household member that involves violence, force or threats, and causes the victim to suffer physical injury or fear of injury or harm. Class 1 misdemeanors are punishable by up to one year in jail, a fine not exceeding $2,500, or both of these punishments. In addition, some offenses, such as DUI, could involve loss of driving privileges and other penalties. Class 2 misdemeanors are less serious than Class 1 crimes. Some of the crimes that fall within this classification are possession of drug paraphernalia, possession of Class IV drugs, and aggressive driving. The possible sentences include up to six months in jail and a fine of up to $1,000. The penalties for a Class U misdemeanor could be more serious than a Class 3 or 4 one and can involve jail time. A common crime that is charged as an unclassified misdemeanor is the possession of certain amounts of marijuana if it is the person’s first offense. The sentence can include up to 30 days in jail and a fine of up to $500. You do not want to try to represent yourself if you are charged with a misdemeanor offense. Besides facing hefty fines and a jail sentence, you will have a criminal record for the rest of your life. This can prevent you from obtaining a job, impact on your immigration status, prevent you from obtaining a scholarship, and hamper your ability to obtain a loan. 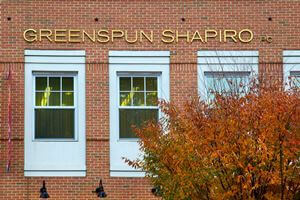 The experienced criminal defense attorneys at Greenspun Shapiro PC understand the serious ramifications of a misdemeanor conviction on the lives of your family and you. We have a track record of success in aggressively defending our clients to obtain the best possible outcome for them—whether their case is a traffic violation, misdemeanor, or felony. Call our Fairfax law firm at 703-352-0100 to schedule your free consultation to learn how we can help you.